Oliver A. Rosales speaks about the history of civil rights and Exploring Multiracial Activism in the American Far West at the Norman Levan Center on March 9. 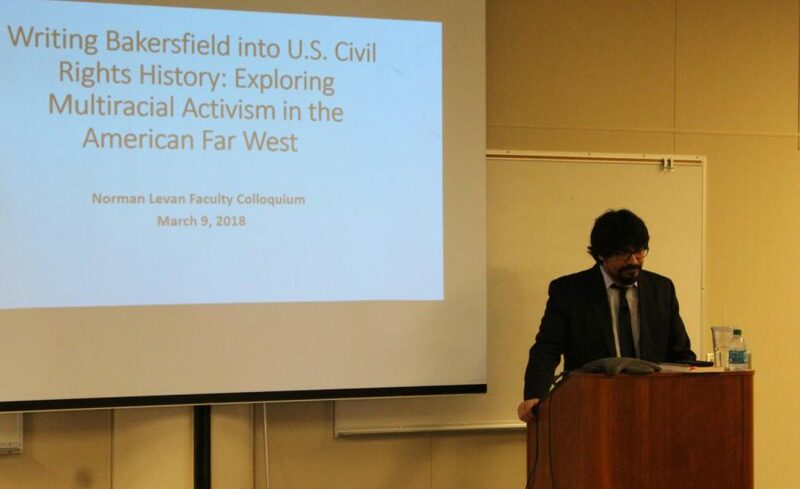 On Friday, March 9, Professor Oliver A. Rosales informed students, staff and the public on his lecture “Writing Bakersfield into U.S. Civil Rights History: Exploring Multiracial Activism in the American Far West.” The event was held in the Norman Levan Center for the Humanities on campus. Rosales teaches History at Bakersfield College and is also faculty coordinator of the Social Justice Institute on campus. He is currently Project Director for “Energizing the Humanities in California’s San Joaquin Valley,” a $99,989 development program for community college faculty funded by the National Endowment for the Humanities (NEH). Another project he’s partaken in as well is Digital Delano: Preserving an International Community’s History, a project that is also being funded by the NEH. 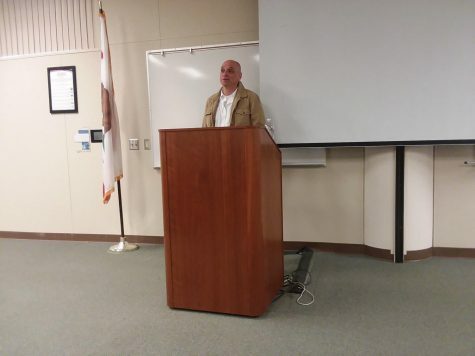 During his lecture, he introduced his research on the lost history of Bakersfield’s civil rights activists in the decades following World War II, as well as the multicultural activism in the San Joaquin Valley caused by discrimination. With excerpts from his book “Civil Rights and Beyond- African American and Latino/a Activism in the Twentieth-Century United States,” he gives examples from the desegregation of schools in the southeast part of Bakersfield and the organizations and activists that took part in paving the way. It also covered the challenges activists faced in community organizing and the legacies of coalition building to the history of civil rights. And organizations that helped and assisted the African-American, Mexican-American and White communities that were in poverty. 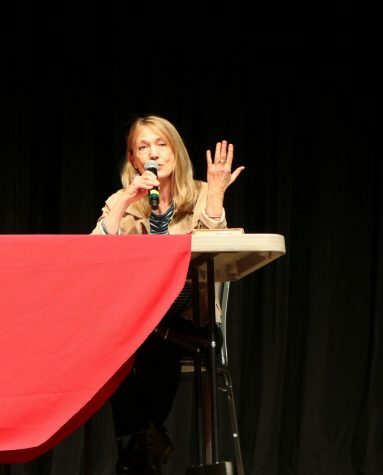 Rosales is one of the few academic historian researchers who write about the San Joaquin Valley’s history and had to visit different universities across the states to find local archives about Bakersfield’s history. “I absolutely wish there were more academic historian researchers who will write at levels where the publications are going to circulate to other universities and national organizations. 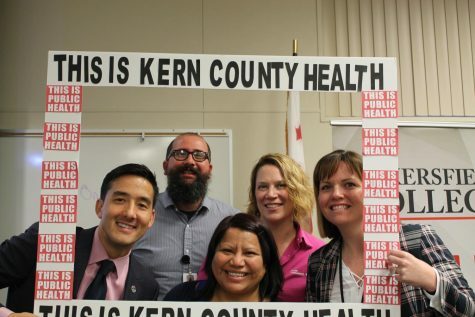 You do not find a lot of historians writing about Kern County outside of local context,” said Rosales. His manuscript, “Mississippi West: Race, Politics, and Civil Rights in Bakersfield, 1947-1984,” is under review for publication by the University of Texas Press. 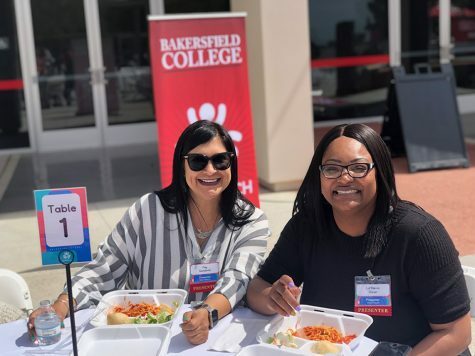 The Bakersfield College culinary arts program also cooked and served Mexican food following the event.